New Chula Vista Police Chief Makes History! With Police Chief David Bejarano Retiring, the City of Chula Vista made history as they promoted their police from within for The very first time and made new Chief Roxana Kennedy Chula Vista’s First Female Police Chief! 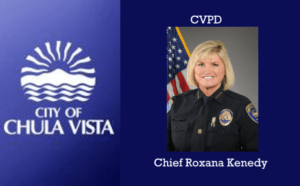 Chula Vista’s new Police Chief, Roxana Kennedy, was appointed to Chief of Police and took the helm from retiring Police Chief David Bejarano on the last business day of 2016, Friday, December 30, 2016 and immediately made history as CVPD’s first female Chief of Police and as the 24th Chief of Police in Chula Vista, the first promoted from within in 60 years. Prior to her promotion as Chief, Kennedy served as the Department’s first female Captain and the first female Lieutenant. The Chula Vista has a population of 265,000 residents. Prior to being selected as Chief, Kennedy supervised the Patrol Operations Division of the Police Department and was Second in Command. The Patrol Division is the largest division in the Police Department and is composed of 67 percent of all sworn personnel. Kennedy managed Patrol, Traffic, School Resource Officers, Street Team and Gang Suppression Unit, Community Policing Unit, Community Relations and Crime Analysis. In addition, this Division also includes Canine Units, Senior Volunteer Patrol, the Reserve Unit, Crisis Negotiations, SWAT, Mobile Field Force, bilingual services, and mental health assistance in coordination with the Psychiatric Emergency Response Teams (PERT). Chief Kennedy oversees 224 officers and a budget of $50 million. She will focus on being a champion for police work and the dedicated men and women who serve. She also plans to improve customer service during her tenure. During her 24-year career, Kennedy also worked as a Police Officer, Street Team Officer, Field Agent, Background Investigator, Patrol Sergeant, Street Team Sergeant, Watch Commander, Geographic Policing District Commander, and Investigative Division Lieutenant. She served on both the Crisis Negotiation Team and the Mobile Field Force Unit for 22 years, including 12 years as the Unit Commander for each team. In addition, Kennedy directs a very active Wellness/Peer Support Team for the Department. As a Police Officer, Kennedy established a reputation for an outstanding work ethic, professionalism, commitment to the community, and dedication to the job. Her passion for police work and providing the highest quality of service to the community is evident in her remarkable career. Congratulations Chief Kennedy! 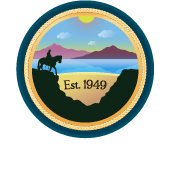 Article information provided by City of Chula Vista. Read original article here.